Printed price is inclusive of a single colour print to one position. There is a screen setup cost of £30 per colour. Minimum order quantity is 100 units. 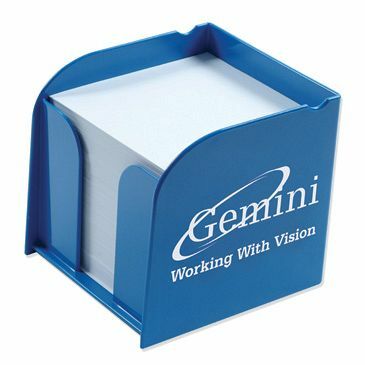 Stylishly designed, this new range of promotional memo block pad holders are available in a wide range of colour options and are guaranteed to get your logo or brand message noticed in any office environment. Each holder contains a block of approximately 800 sheets of quality white offset paper.